Harrogate-based event services company Joe Manby Limited is celebrating 45 years in the event services business with the Christmas and Gift Fair at the Harrogate Convention Centre from 13-16 January. The long-running event was first held in the town in 1950 as the Harrogate Toy and Fancy Goods Fair and is one of Joe Manby Limited’s longest-standing clients. 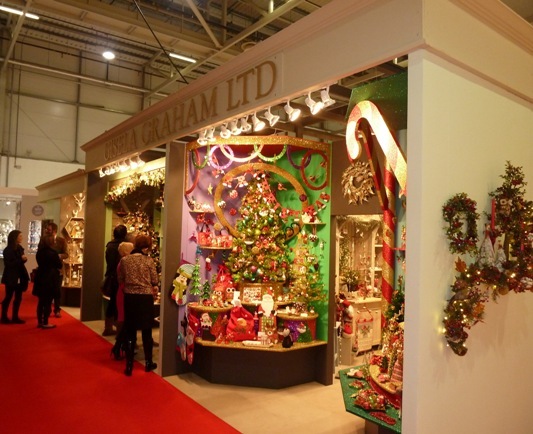 Recognised as the leading Christmas event, more than 90 exhibitors will fill seven halls at the Harrogate Convention Centre next week, enabling retailers to source the hottest selling lines for Christmas 2019. Joe Manby Limited will provide integrated event services, including floor plans, shell scheme and bespoke standfitting, signs & graphics, electrical installation, carpets and furniture hire to the event. He added: “The success of Harrogate’s first major trade fair helped shape Harrogate’s future as a conference and exhibition town. The exhibition sector contributes around £11 billion to the UK economy. “Over the years, we’ve seen some big changes in the events sector. Exhibitors today wouldn’t recognise the exhibition stands of the early 1970s which were more like stockrooms, complete with doors to keep them private, rather than the open and inviting ‘shop windows’ that are today’s exhibition stands. Other time-honoured clients of Joe Manby Limited include the Institute of Housing, Harrogate Floor Show, Spring Fair and the Trades Union Congress, all of which have been clients for more than 30 years.